It is not hard to see the beauty in one of Frederick Remington’s idyllic Cowboy portrayals, or the power in a Thomas moran landscape. Alone, even a reproduction of these works can take nearly anyone’s breath away. But why do they matter? Why are artists like Alfred Jacob Miller, Thomas Moran, Frederick Remington, and many more of VFA’s historical artists considered to be some of the most influential artists that America has ever seen? To answer that question we have to think about what it took to be able to observe landscapes like the Grand Canyon, scenes of the fur trade in the primitive west, or even just glimpses of Native Americans. One had to be willing to endure long hours on dangerous terrain, many nights camping, and hot days under the sun. One had to be adventurous and brave, as not many had explored the American west at this time. Because these artists were willing to devout their lives no matter what the cost, we now are able to view some of the earliest images of the American West. These are depictions of scenes we may never be able to see again, or at least not in the same ways. 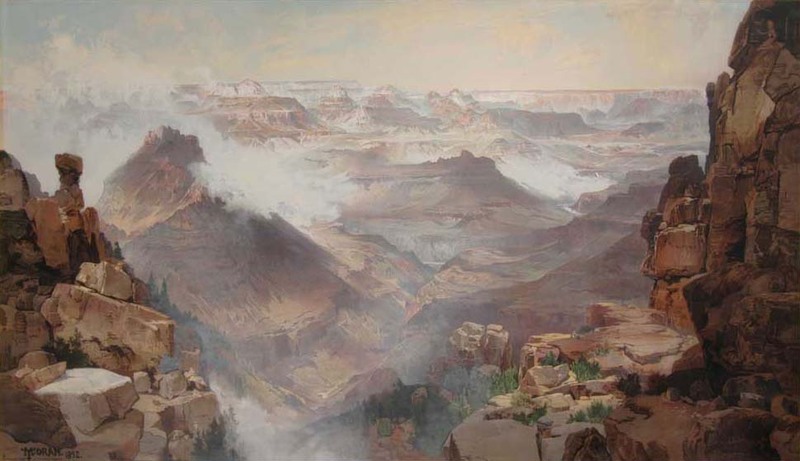 Thomas Moran, “Grand Canyon of the Colorado Rive, Arizona” – Available at Valley Fine Art. 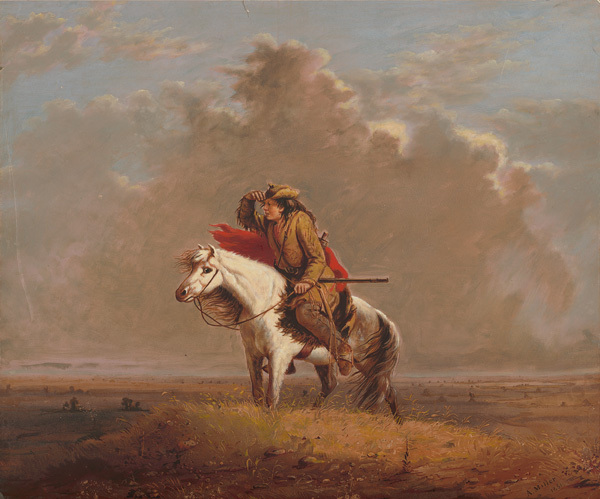 Take Alfred Jacob Miller for example, an artist who dedicated his life to documenting the scenery of the fur trade, Native Americans, Cowboys and more, all along the hunting expedition of William Drummond Stewart. These images give us eyewitness account of North American exploration. Considered as much important historical documents as artistic works he gives us a glimpse into primitive west that we would otherwise have had to imagine from text. Or an artist like Thomas Moran, who was instrumental in securing our heritage of National parks. Moran’s depictions of Yellowstone are a huge reason behind why congress decided to establish the National park system in 1916. People didn’t know it was there, or that it was beautiful and Moran was able to influence an entire generations understanding about its country. Another example is artist Frederick Remington who was also travelling and depicting early 19th century western images. Not only did he paint scenes that are now lost, but he often idealized such scenes, paving the way for an entire genre of Western fiction and film that we have grown to love so much today. Remington was also particularly talented and was one of the first to illustrate the true anatomically correct gait of the horse in motion. Each of these artists provided so much to the influence of how we see the west, as well as the direction of the art world in the 19th Century. 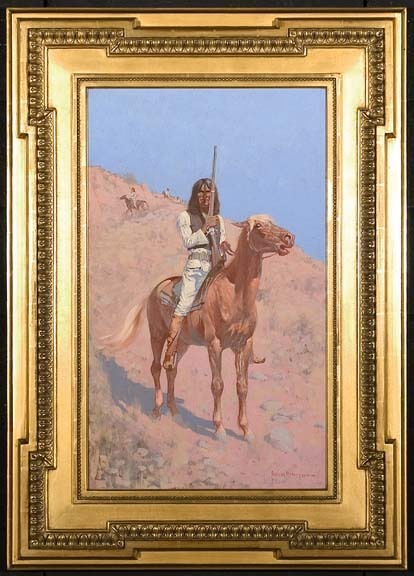 Here at Valley fine art we have a vast collection of Historic Artists each influencing the way we see the American west in a different way. Without their tireless travels and creations we would be left with nothing but text. In Moran’s case we even could have been left without some of our National parks! I often get caught up in the captivating beauty of early 19th century artwork, but it is important to appreciate the peek into our history that these artists offer us even to this day.